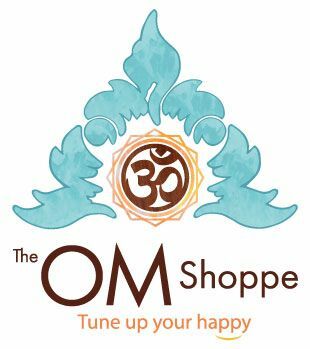 The Om Shoppe carries only the finest quality Organic & Wildcrafted Essential Oils and Botanicals. Below you will find oils for diffusing, ingestion*, topical use and one of a kind blends to improve your health and wellness. Essential oils are part of vibratory medicine and great way to help bring your body and mind into a healthful balance naturally. When using Essential Oils please always research their proper uses. Aromatherapy organic essential oils are usually either applied directly to the skin, used in conjunction with a carrier oil, or evaporated with an essential oil diffuser. The inhalation of organic essential oils from plants is credited through extensive research with improved physical, mental and emotional well-being. The oils you will find below are concentrated and powerful and we always recommend using a carrier oil such as Jojoba Oil to dilute for topical use. Because the Organic & Wildcrafted Essential Oils you find here are the purest quality remember you won’t need but a few drops to feel and experience the benefits. *Never ingest an oil that has not been formally created for that purpose. We are not physicians and many of the statements here have not been tested by the FDA. Always consult your physician or healthcare Practitioner if combining Essential Oils and Prescriptions medications. Always test a small part of your skin before a full topical application. When choosing an essential oil supplier, purity standards were our top priority. Essential oils are a powerful ally and tool for holistic health and vibrational medicine. Working with a knowledgeable Certified Aromatherapist is recommended, which is why we chose to work directly with the industry’s top provider of the purest, organic and wildcrafted essential oils. Botanical purity is only the first step when sourcing essential oils. To verify the purity of the final essential oils, our supplier uses gas chromatographic analysis with chiral columns, which is the most reliable tool for selecting oils that are 100% derived from the botanical species indicated. The botanical species is clearly listed on the label of each of our oils as a further guarantee that the oil originates 100% from the species and is not cut with cheaper oils or synthetics (particularly “nature-identical” compounds), which is an otherwise common practice in essential oil production. More than 95% of all essential oils today are produced for the flavor and fragrance industries. These industries do not prioritize a natural product. Therefore, oils used by these industries often are not pure; they are reconstituted with nature-identical compounds of synthetic origin. Such oils are not suitable for aromatherapy. Further, even if they are pure, industrial oils are not usually distilled with the care necessary for aromatherapy purposes.